Carbide cutting tools with straight shanks can now be easily held in ER collets thus allowing a whole new aspect of milling and turning especially in production. ER collets are not restricted to only threaded shank cutting tools but they allow any parallel shank cutter, drills in 0.1mm increments or even taps to be held securely in the collet chuck. ER collets come in a range of sizes; ER11, ER16, ER20, ER25, ER32, ER40 & ER50. Size range increasing each type, each collet still steps up in 1mm increments. 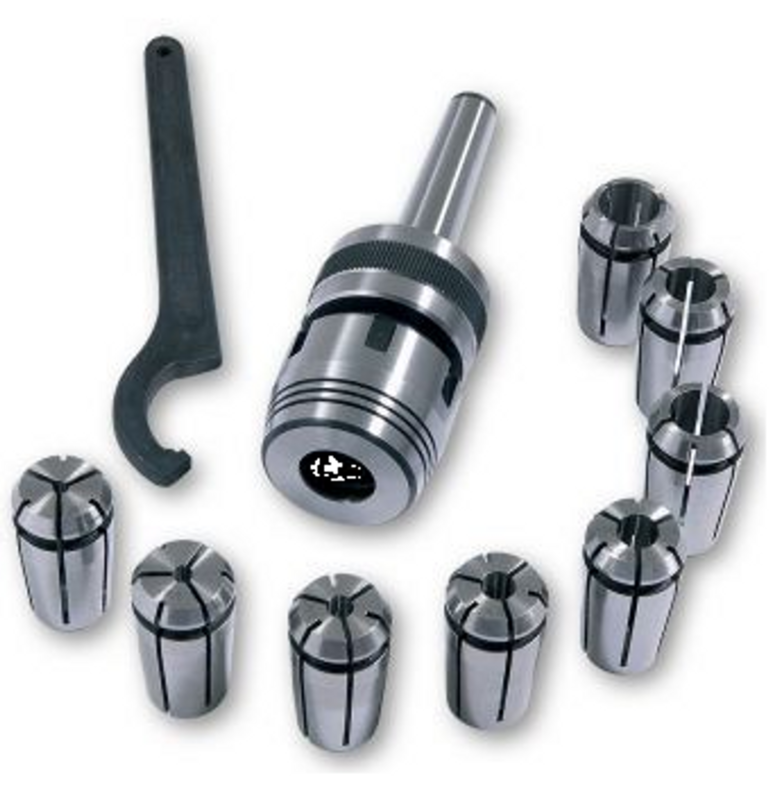 Sets are available which include the collet chuck, collets and wrench, either as 7piece collets set or complete with every collet in 1mm increments.